Depend on Palmetto Heating and Air of SC to keep the water flowing through your pipes. We help homeowners throughout the Mount Pleasant, South Carolina, area maintain their plumbing systems with affordable and prompt repair and installation services. Whether you have a toilet that won't flush or a pipe that needs to be replaced, we've got you covered. 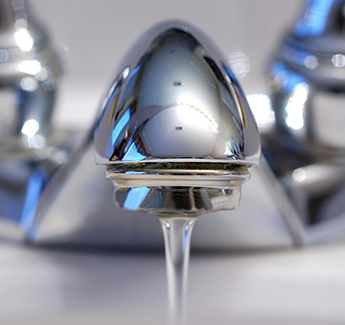 From a leaky faucet to a spigot that won't shut off, our company addresses all types of common plumbing problems. We are experienced in all areas of repair and can resolve just about any issue you're experiencing to ensure it doesn't pose a problem in the future. All service calls are $79.95, and include an inspection and diagnosis. We will give you a free estimate for the amount it will cost to have the repair done. While repair is our main service, we also provide installation. We can install new spigots and faucets, as well as plumbing for an outdoor shower. Request a free estimate to have a new part or a new system installed in your home. Installation is also available for gas lines, which many homes have in order to operate their gas grills or gas-powered water heaters. Enjoy hot showers once again with a water heater repair. Whether your system has a leak or is no longer producing warm water, having it repaired will restore it to working order so you won't have to endure another cold shower. When you request our help, we will come out to your home and diagnose the problem. We will give you a free estimate and then make the necessary repairs to have it working like new again. Repair is also available for other heating systems, including furnaces.